LongLife blends the best that exists in the art of making soap, with the Portuguese culture and created the brand "ESSENCES OF PORTUGAL". Our main dedication is to give life and history to our soaps, making them unique pieces. The packaging refects the Portuguese culture, transforming it into true pieces of art. Our path will always be in creating innovative and unique molds, been able to surprise, and in perfumes, carefully selected, to provide a pleasant journey in to the olfactory memories. Focused on satisfying your wishes, "ESSENCIAS DE PORTUGAL" offers a unique range of perfumed and dermatological soaps, using raw certified materials to guarantee the incontestable soap quality, with intense aromas and soft textures. The customized models and packaging for Hotels, Companies ... are what distinguish us in a market, that lives from the massification of products and services. Each client is treated differently in a PARTNERSHIP that will have everything to be a success. 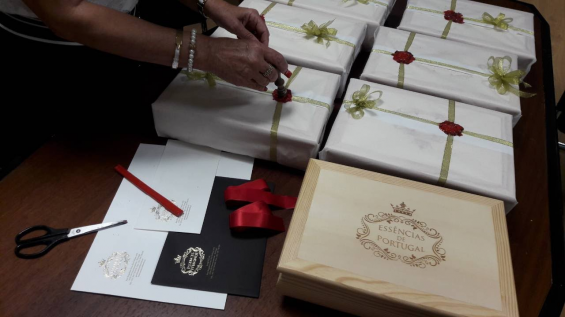 Our customer finds in the " ESSENCIAS DE PORTUGAL ", the fulfillment of their wishes, in the creation of exclusive products and limited editions, made to their image.